Going to post something I shared on another site. Any thoughts? Rodger Saffold- We've all read the articles and know the story by now. He's said he wants to come back and feels he may have to take less here to do that from what he can get on the open market. IMO a must resign for 3 years. LaMarcus Joyner- Past years franchise tag did little if anything to live up to that salary. In the past I was a big LMJ guy and loved his game. This season has brought this guy down to one word for me. Peace! Let him be overpaid by somebody else. Ndamukong Suh- Was very lackluster during the regular season but was an absolute unit in the playoffs. While I'd like to have this guy back I just don't think we'll have the money for what he wants. Dante Fowler Jr. - Guy enjoyed a rebirth for us and had some big moments in both the regular and post season. I for one would like to bring him back. It wouldn't break my heart if our top 3 Edge guys were him, Samson and Obo, we could always add another pick to it. Just not sure what kind of salary he's going to demand or if his time here made him love the place and he wants to come back so to me this guy could go either way. Cory Littleton- Could get a nice payday but really hope we bring him back. Special team demon and our signal caller on D. He's a RFA so that helps a lot. CJ Anderson - Would love the wrecking ball to be back but he may have played his way into a bigger deal than we want to give him and there could be a few teams looking for a feature or even split carries back that has much more cap space than we do so he likely walks. Sam Shields- This guy was a monster on special teams. IMO being out as long as he was may require a couple years to get back his cover game. I'd like to bring him back and it may be cheap enough to do it. Matt Longacre, Dominique Easley, Ethan Westbrooks and Morgan Fox - All four could likely leave and we wouldn't even know it. Malcolm Brown- Coming off the injury will likely come back on a 1 year deal. Ramik Wilson, Bryce Hager, Garrett Sickels, Carlos Thompson- Like the DLine guys above could all go away and we wouldn't blink. Hager and Wilson were good special teamers but that's about it. Dominique Hatfield, Blake Countess and Troy Hill - Countess may be the only one I'd like to bring back. He's an RFA and was pretty solid depth in the secondary and good on special teams. The rest could vanish and we'd be ok with that. JoJo Natson- The guy everybody loved for a few weeks was just an average returner the rest of the year and offers nothing on coverage teams or offense. We can draft a guy in the 6th or 7th rounds to provide that. Bring him back on the cheap otherwise. Sean Mannion- Last but not least our QB2. In very very limited time he's shown nothing really worthwhile. There isn't a whole lot of other likely options in free agency so either a mid round pick and/or bring Sean back. Will be interesting to see how McVay and Snead handle this one. Mark Barron- We all anticipate and might even celebrate this guy being cut. It's ok to have one undersized ILB in todays NFL. To have 2 and the second being Barron was just a travesty. He'll save enough money to sign Saffold and not dip into the rest of the free agent money. Michael Brockers- This one pains me as Brock has long been one of my favorite players. Is he out of position as an end in the 3-4? Could be. But the bottom line is he wasn't worth his cap hit at any point in the season and may have to go. He's due a roster bonus mid March so if cut before then add's $10 million to the cap. As much as it hurts me he may be gone. Marcus Peters- I know some are going to be calling for this but his 5th year option is only $9 million. He may be dealt but that elevates the need at CB significantly. I wouldn't be shocked if we trade him but I don't see a cut. Unlike the previous 2 cuts I listed he could get a big pay day in free agency earning us a comp pick of significance which doesn't jive with Sneads MO. It's either trade a guy or let them walk in free agency to earn that comp so I think he stays but gets no extension. IMO there's nobody else worth any kind of cap hit that is worth mentioning on the cuts. There could be others but the cap hits/savings are insignificant so not mentioning them. FYI prior to any changes/cuts we are sitting at just over $32 million in cap space with an estimated of $189.5 million. Completely agree with most of your thoughts. Unless Fowler is going to be cheap then he can go too. Wow that's a lot of turnover. Yes and no, we'll likely lose 4 starters on defense but we had 5 new starters this year. Offense is really only Saffold. The rest is depth or bottom of the roster guys. Saffold is key but he's expressed his desire to stay. Suh we knew was a 1 year rental. Barron and Joyner are liabilities. We'll see what happens though. Good write-up, I agree with pretty much everything you said. I would definitely like to see Marcus Peters back. I suspect his early-season calf injury and the absence of Aqib Talib had something to do with his struggles. He looked better at the end of the season though, and I thought he did a very solid job in the Super Bowl. Having Talib, Peters, NRC, and Sam Shields as our CB corps next year will be nice IMO. Cory Littleton is a must keep. Dude is a baller, I love him. Key overlooked part of our defense. He made a number of splash plays in big games, too, including a TD and turnovers vs the Chiefs and picking off Tom Brady in the Super Bowl. Saffold and Littleton are musts to bring back. Joyner and Suh go. I think Malcolm Brown and CJ Anderson both could go. Both could assume larger roles on other teams and we'll still have Gurley to handle the load and Kelly to mix in. It will be interesting to see what happens with Fowler. The franchise tag could be a possibility. Mannion is gone. Never showed much and we've had our eye on QBs in the draft. I would like to keep Suh, Fowler, Littleton, Saffold, Anderson, and Peters. Hopefully we could bring in Jordan Reed from chi on a great price. Our TEs are far just too inconsistent. Have Gerald line up at WR. Higbee is a solid blocker but leaves a lot to be desired. Had we had Kupp yesterday we win! We lack dogs who could break the press.. Edelman killed the press coverage yesterday. You mean Jordan Reed from Washington? If so, no thanks. He gets injured every year, we don't need to overpay on a tight end we already have more than enough playmakers on offense. Save the money for more pressing positions such as LB, S, D-line (pending the status of Suh and Brockers). Yeah and because of that he should come cheap. Are you expecting Jordan Reed to get cut? He's not a free agent. Yes. He’s being paid money he does not deserve. And with Alex gone this could be a tank year for them. I agree with whoever said that Saffold and Littleton must be brought back. Saffold is a true Ram and the best lineman we’ve got after Whiteorth. Littleton proved the coaching staff right for making him a starter. I was extremely impressed with him this year. Need him back. I think Suh is gone. This was the year he wanted to win the big one. We didn’t do it. He’ll go for one last big contract to another team. I think the two biggest question marks are Joyner and Fowler. Joyner took a big step back this year and certainly did not live up to his price tag. Fowler has some really big moments but didn’t consistently generate the edge pressure I’d have hoped for. I also feel like he’ll command a lot of money. Letting either walk creates an obvious hole to fill, but fortunately, this is a great draft class for edge rushers. I worry about the ability to replace both but that’s not a good reason to keep someone around if they’re not performing to expectations. Barron is as good as gone if you ask me. Brockers isn’t as clear cut though. He was seemingly non existent for the majority of the season and he’s making a good chunk of change. But he is a captain and a talented player. Personally, I’d base the decision one way or the other off of how confident the coaching staff feels about John Franklin-Meyers. I think he impressed with his limited role this year. But if they’re not confident in him as a starter, then Brockers should stay. I’d keep both of the starting corners. They played really well when both were on the field. While Talib is on the latter portion of his career, Peters is a young (potential) star. Wouldn’t want to give that up quite yet. Unpopular opinion here, but I’d like to keep Hill as well. I think he’s valuable depth. Wouldn’t be heartbroken to see Shields go though. I’d also like Countess back. I think he’s a capable spot starter if need be—if nothing else, quality depth. As for Anderson, he obviously played admirably in Gurleys absence and in a complimentary role. Talent wise, it makes all the sense in the world. But at what cost? Price tag would solely determine that one for me. And our decision with him would determine bringing back Brown or not. No sense in keeping both. Sean Mannion has proved nothing and we should look to move on from him. The rest of those guys won’t be making or breaking this team one way or the other. I'd try to retain Fowler if he's reasonably priced. I liked how he played in the playoffs. He's not an elite edge guy, but he's a solid all around player who plays hard. Im under the impression the Rams have the cap space for one more year to keep the bulk of the guys if they want too. Suh - I think he stays because he knows how close he was to winning the Superbowl and he loves playing for the Rams in LA with Kroenke as the owner helping him obviously with outside of football business. Fowler - If the price is right I see the Rams locking him up long term. I think he has a fresh start and its going to be interesting to give him a full offseason with Wade and this defense. 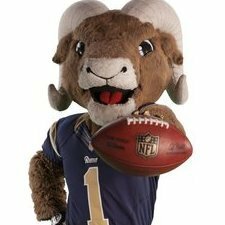 Anderson - The Rams want to keep him because it not only will help give the Rams a great 1-2 punch, but it keeps both him and Gurley fresh. Nothing is wrong with Anderson talent the biggest question about him has been staying healthy when he gets a big workload. He seems to enjoy the role he has on the team and help mentor Gurley. Not to mention Brown is a FA so they can use an experienced back while Kelly continues to develop. Saffold - He seems like a player who will take a team friendly deal just try and finish his career with the Rams. I expect him back. Peters and Talib both have 1yr left on their deals so I expect both to be back with Wade as again they feel like they have unfinished business with falling short in the Superbowl. Whitworth and Sullivan I feel both will come back for the same reasons of unfinished business and want to go at it for one more year to see if they can get back to the Superbowl and win. 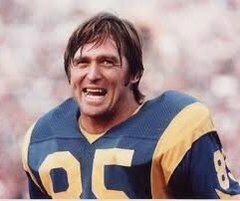 I can see the Rams letting Joyner walk and them cutting Barron and possibly trading Higbee. So overall dont be surprised if the Rams still bring back the same cast of players for one more year to try to finish what they feel like was unfulfilled this season. Then you get Kupp back and the Rams have a 1st round pick to use. 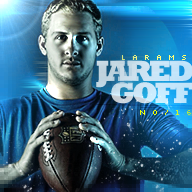 I think the Rams will once again be set up nicely for the 2019 season but this time have the experience and Goff will have his safety blanket in Kupp back with hopefully a fresh Gurley with Anderson being there from the start to take the load off of him throughout the season.